All the boys from sixth class have been busy this past week weaving St. Brigid’s crosses. 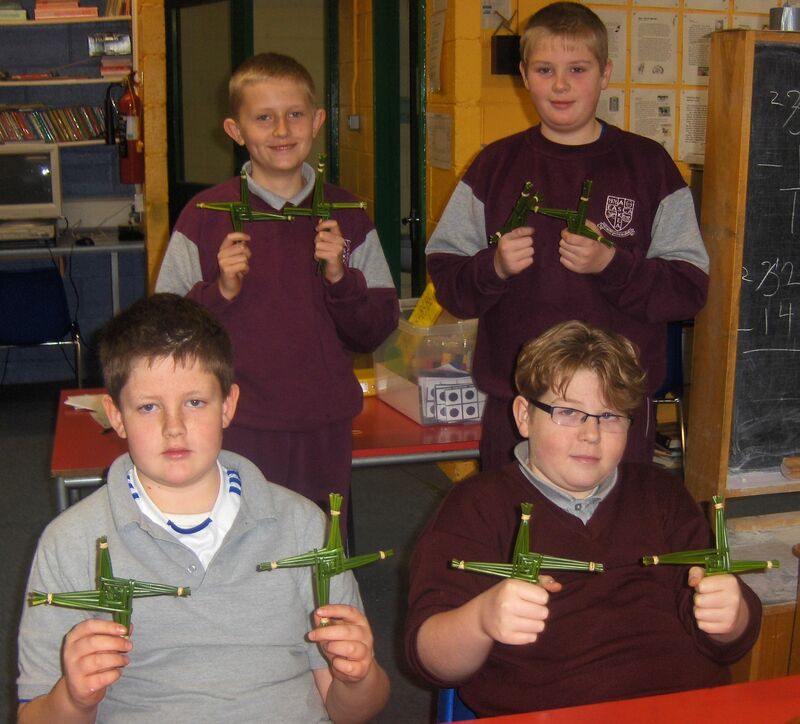 The boys really enjoy making the crosses which are made available at mass on St. Brigid’s day. Well done lads for maintaining this venerable tradition which stretches back hundreds of years. Anois teacht an Earraigh…. We had a very successful science day. 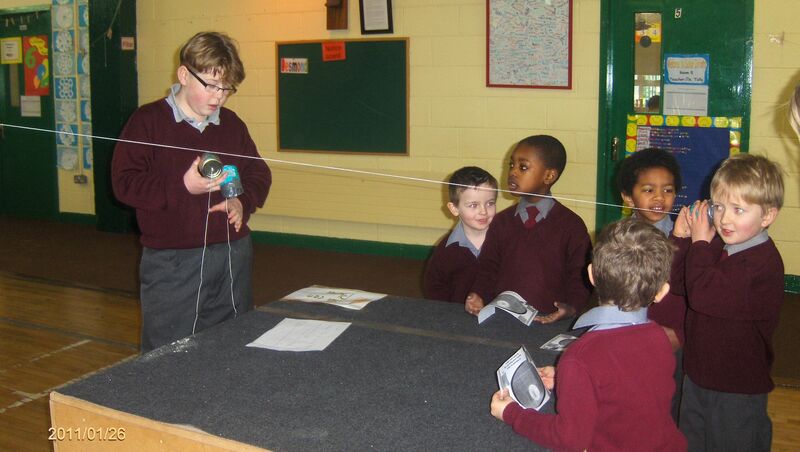 All the boys from sixth class demonstrated a wide range of science experiments for all thechildren in the school. These experiments ranged from electrical circuits, digital microscopes, volcanoes, exploding film cannisters, finger prints and magnetic balloons. The children had great fun and it was a brilliant day.